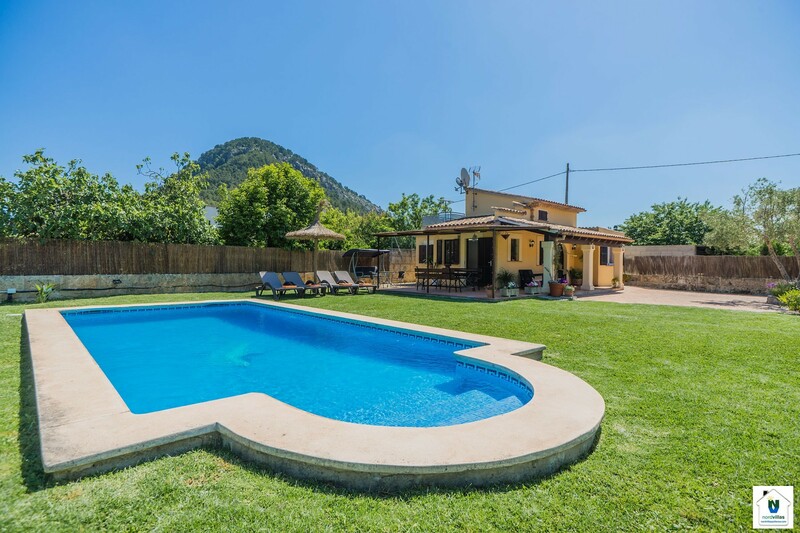 Villa La Rafal Petit is a pretty villa ideal for 2 people. 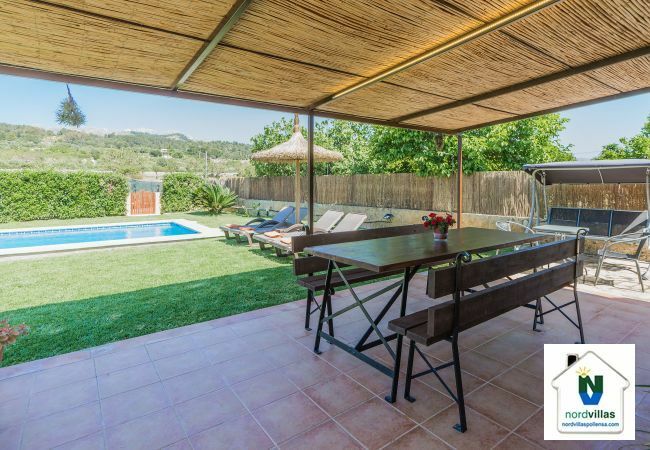 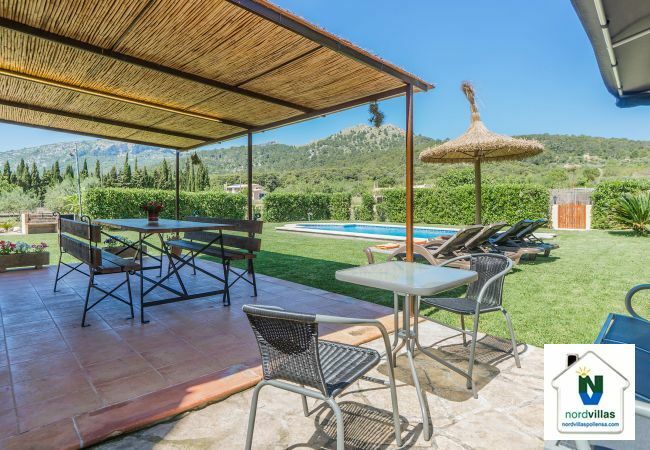 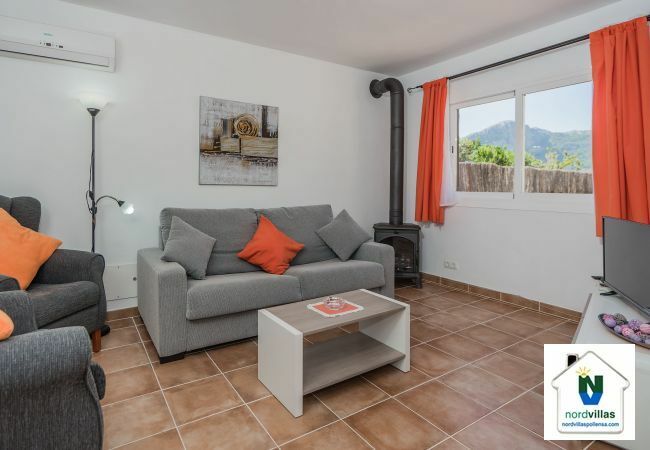 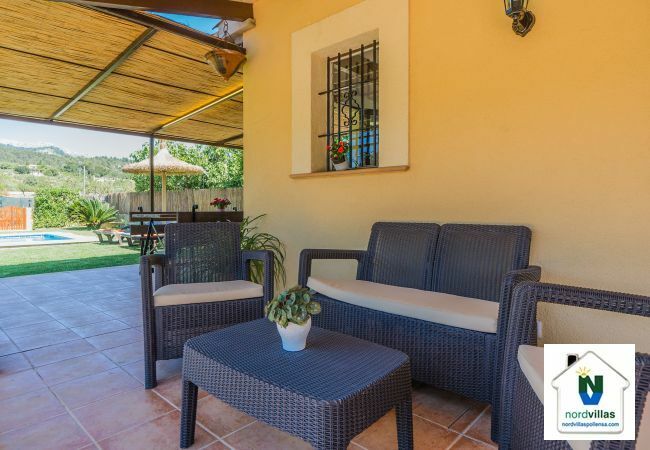 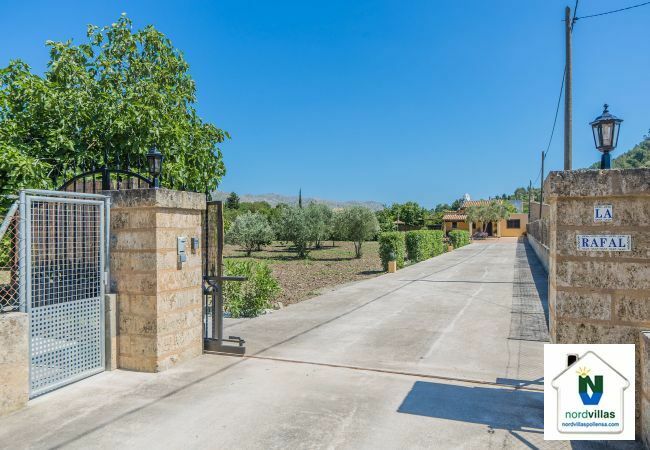 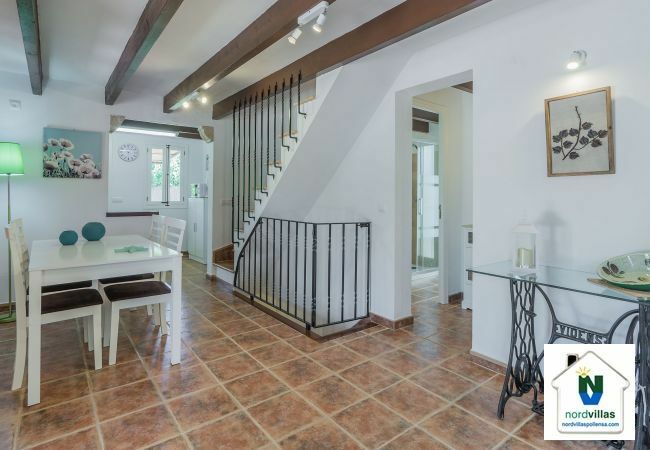 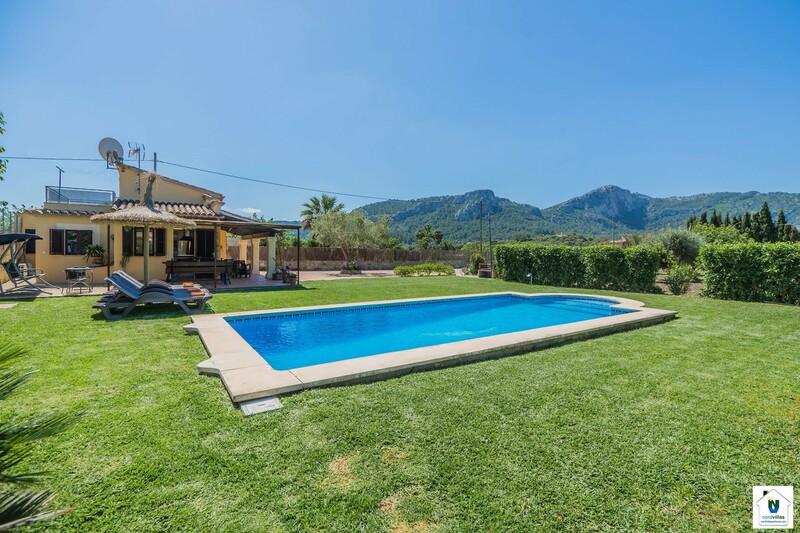 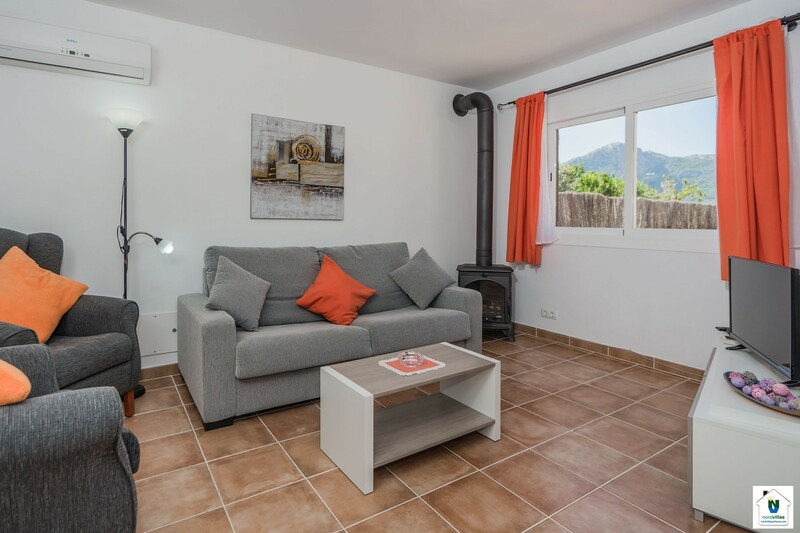 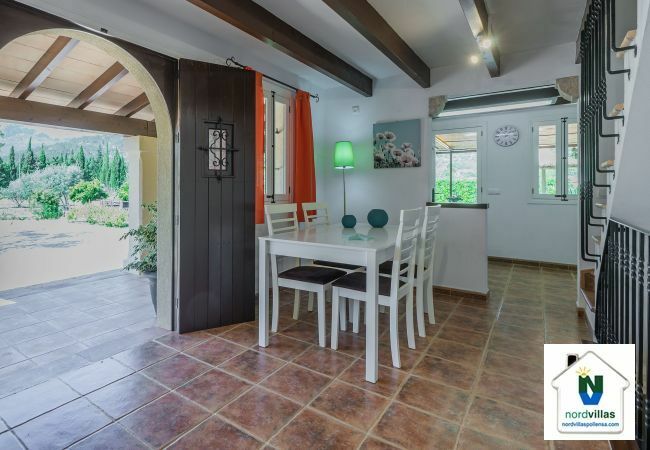 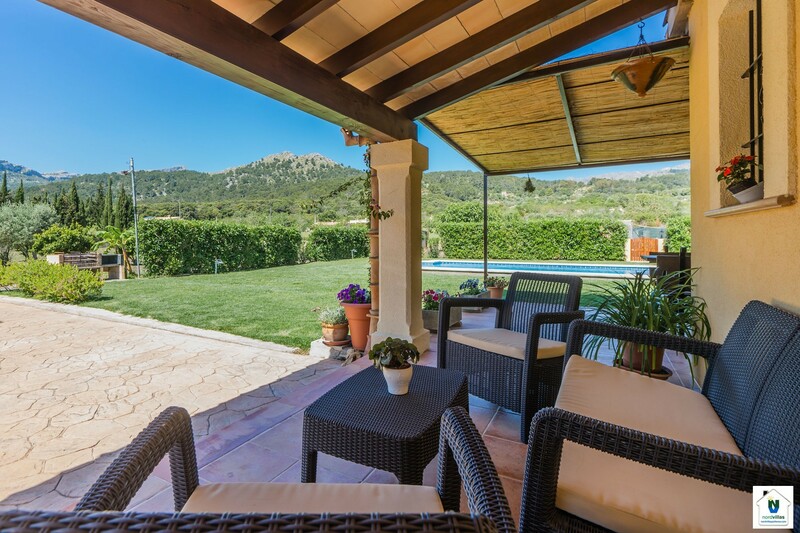 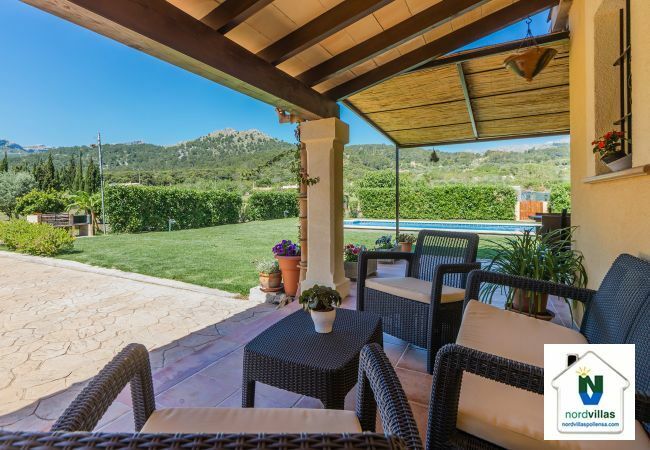 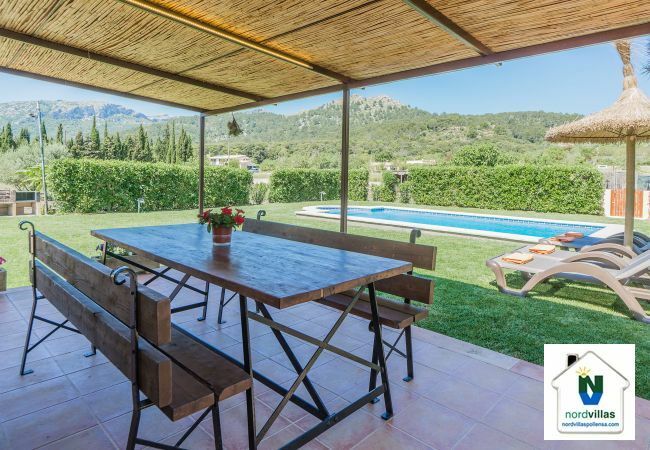 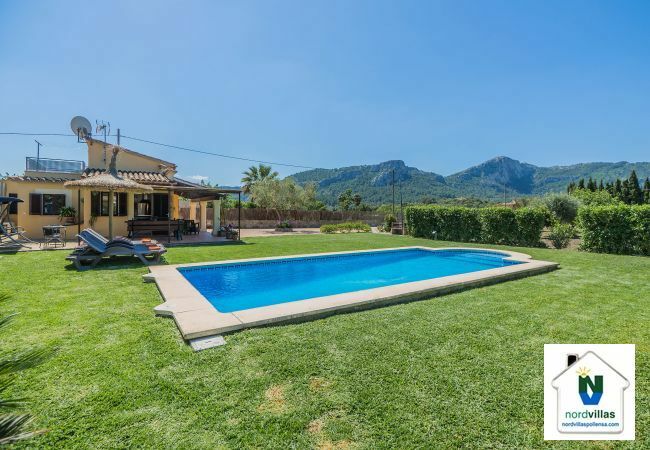 Set in the quiet countryside on the outskirts of the old town of Pollensa, this villa is within walking distance of the amenities. 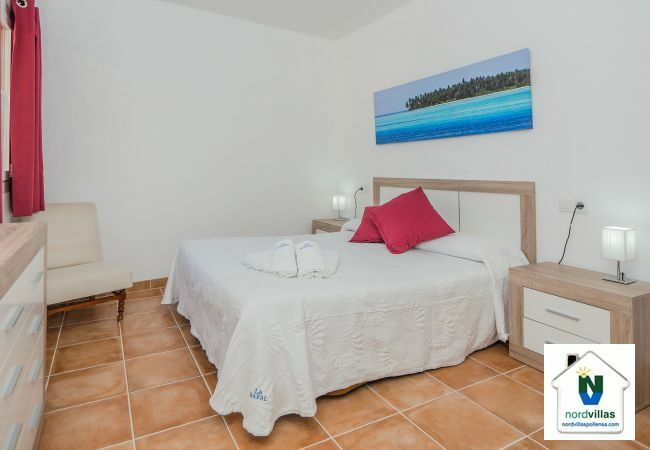 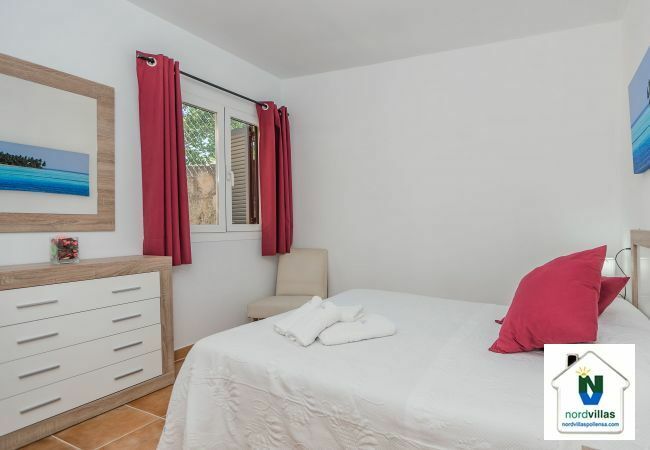 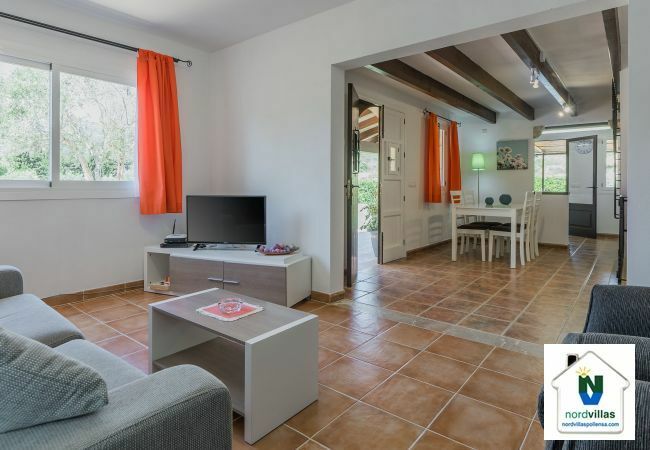 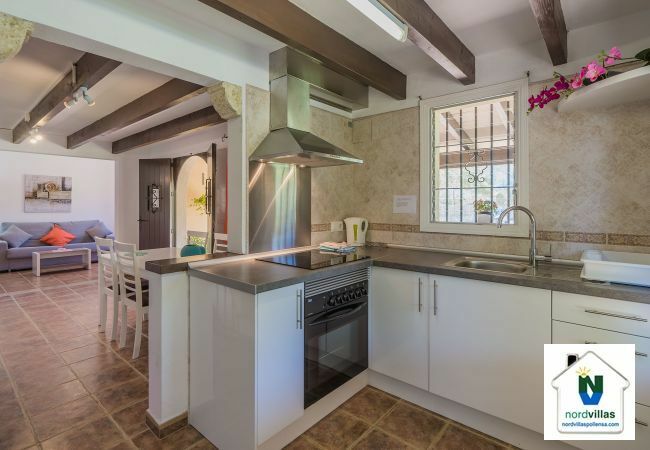 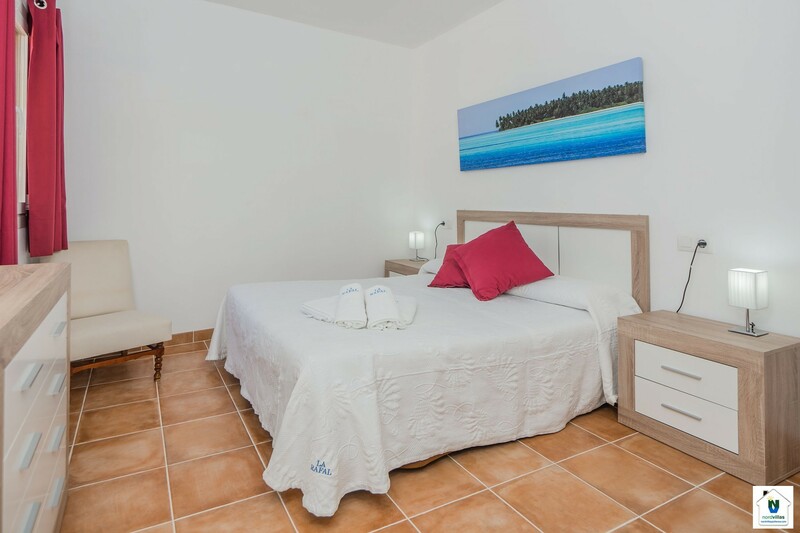 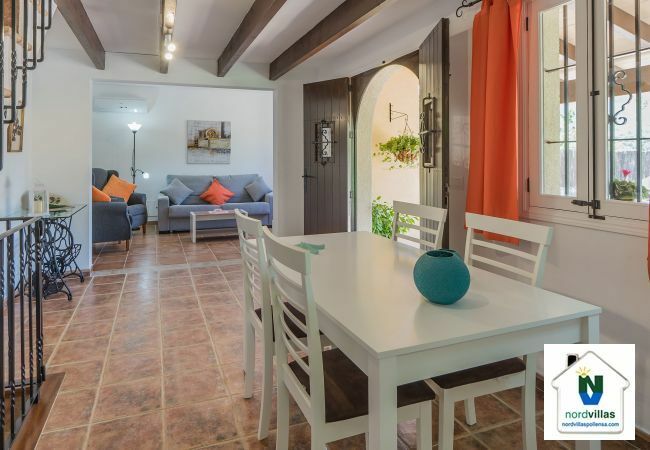 The villa has one double bedroom on the ground floor along with the open plan living – dining room and kitchen, giving this villa a light and airy feel. 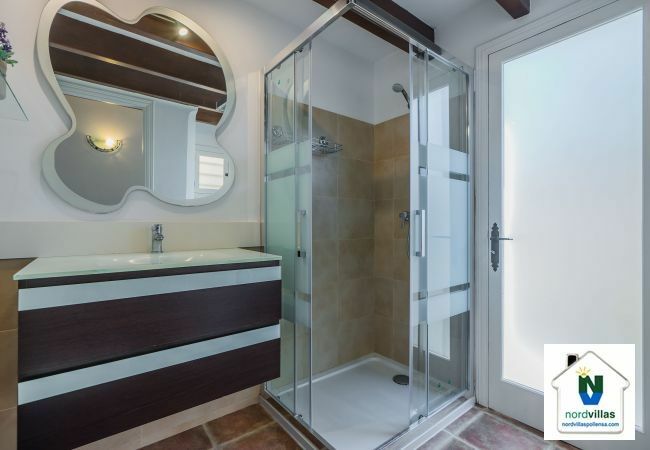 There is a shower room on the ground floor. 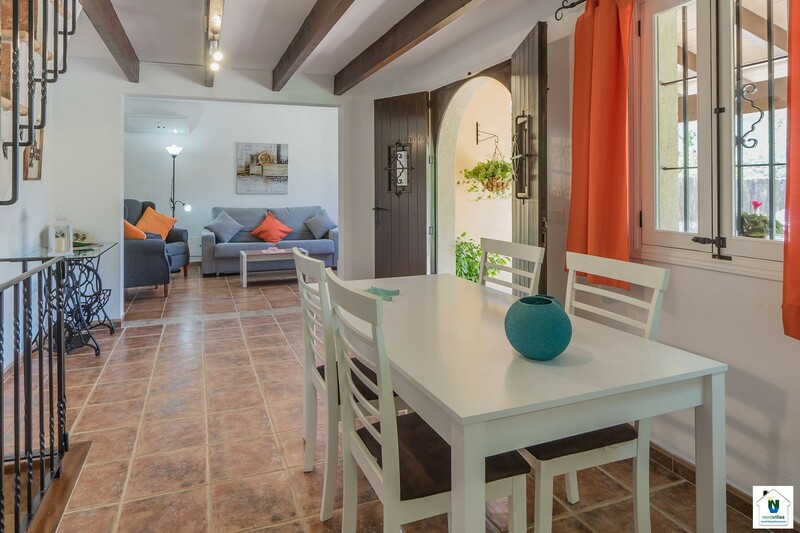 The living room has comfortable furniture, the sofa converts into a sofa bed, TV, DVD and Wifi. 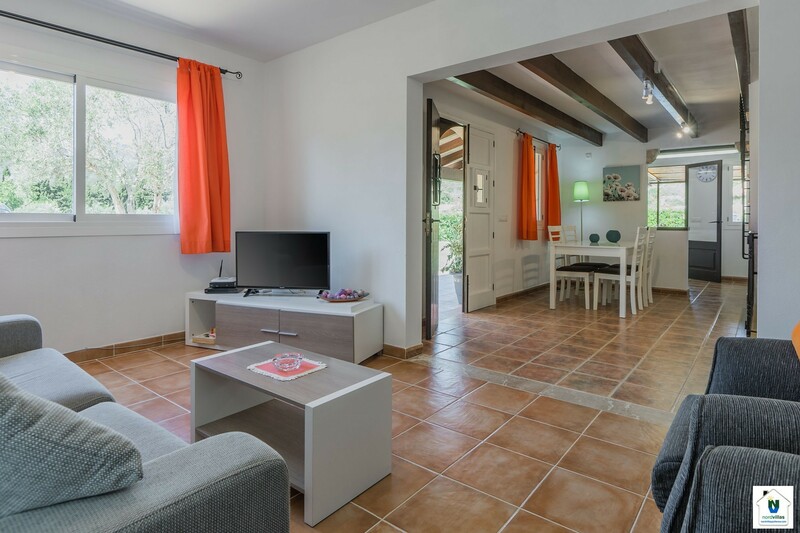 There is also an air conditioning unit in the living area which services the open plan space. 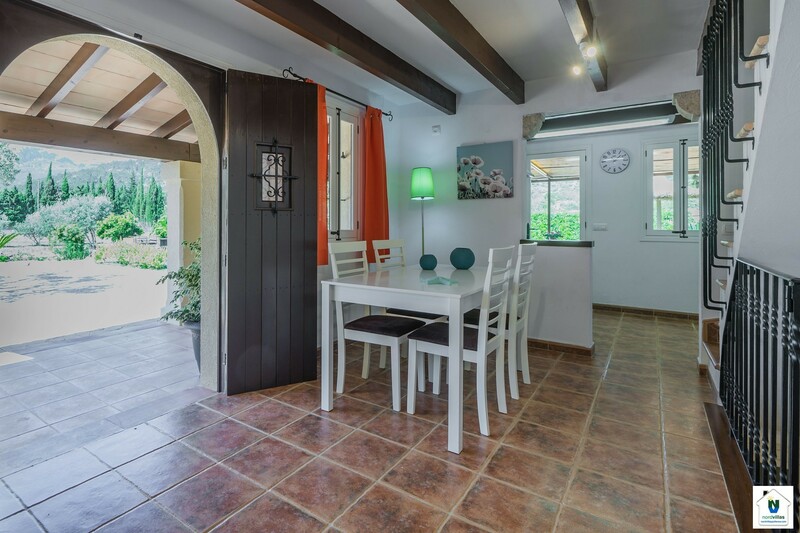 There is a dining table and chairs for four people which leads on into the kitchen. 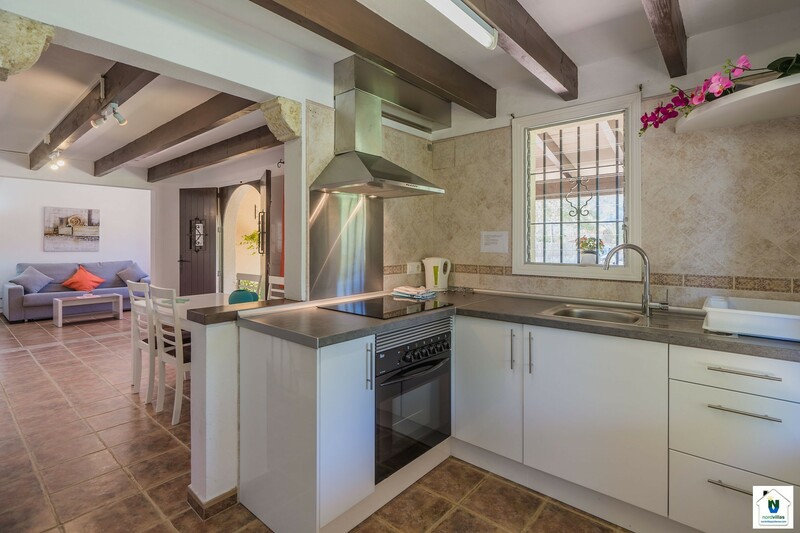 The kitchen is fully equipped with ceramic hob, electric oven, toaster, microwave, washing machine and fridge freezer. 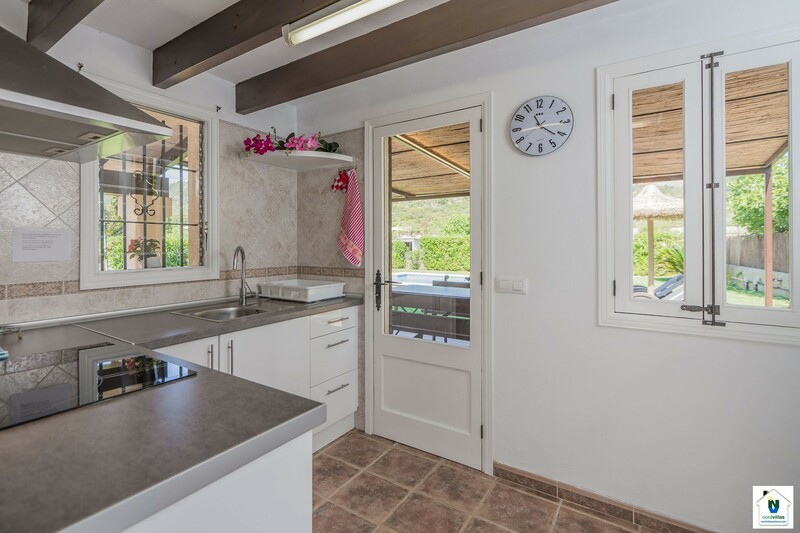 The kitchen has a door which leads out onto a pretty covered dining terrace which overlooks the pool area. 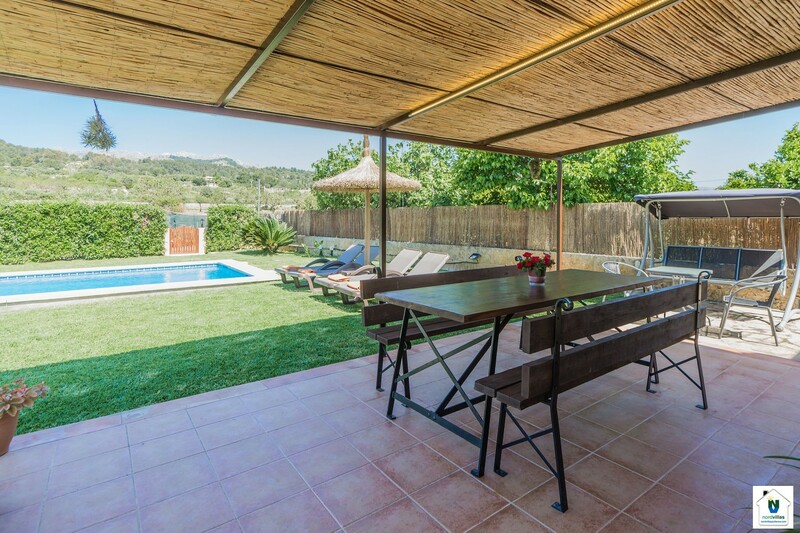 Outside, the villa is equally as impressive. 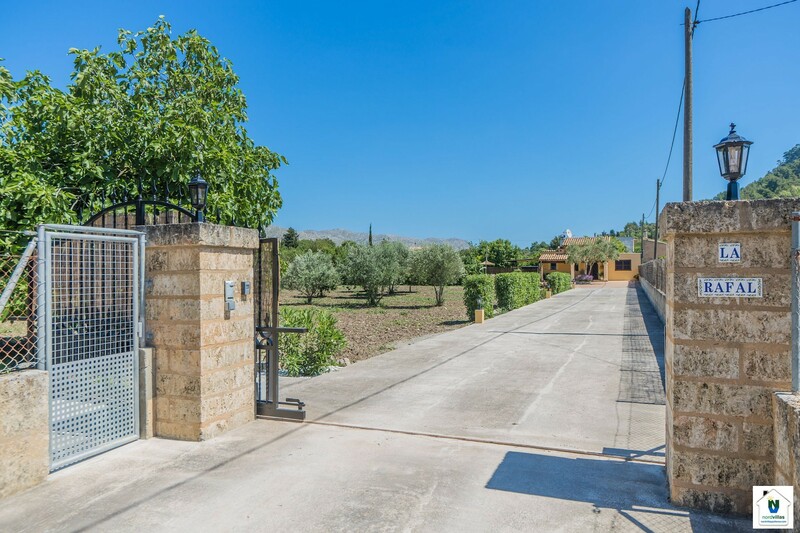 Entering through the electric gates the drive leads you down to the villa. 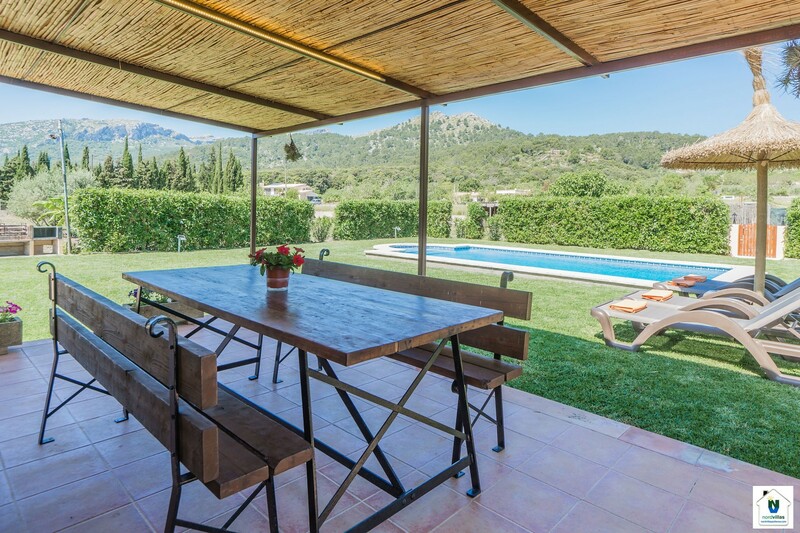 There are panoramic views of the countryside and mountains. 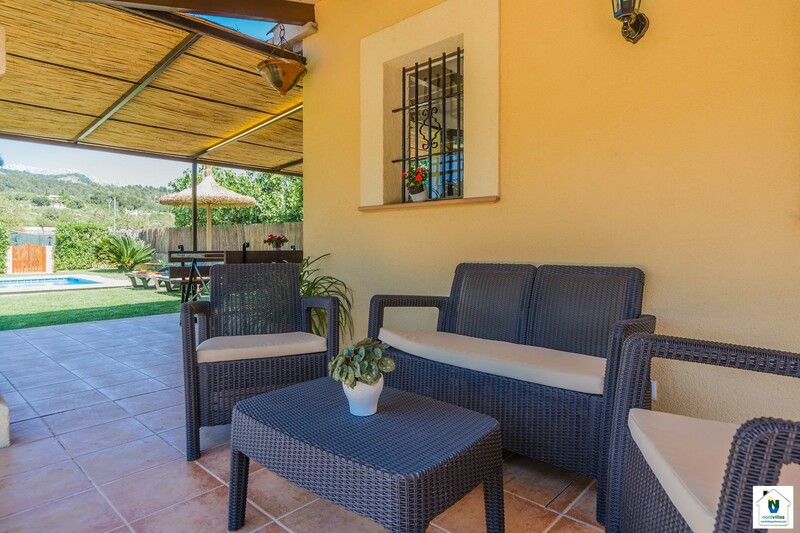 The villa has a covered furnished terrace to the front and a covered dining terrace to the side. 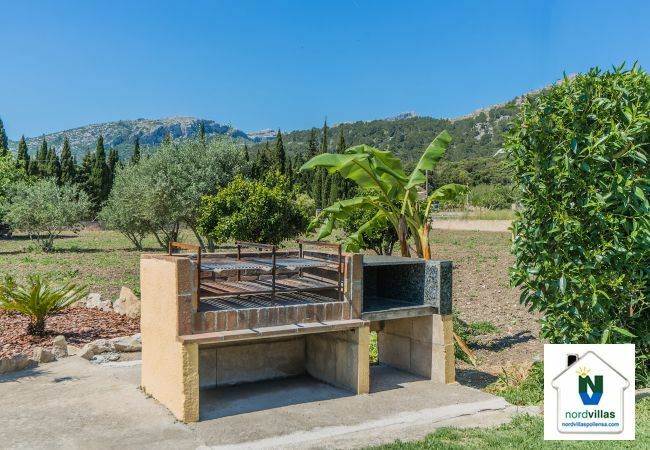 There are sunbeds around the pool and a large barbecue, ideal for outdoor dining. We accept an additional person, this must be a child of up to 12 years sleeping on the sofa bed in the living area. 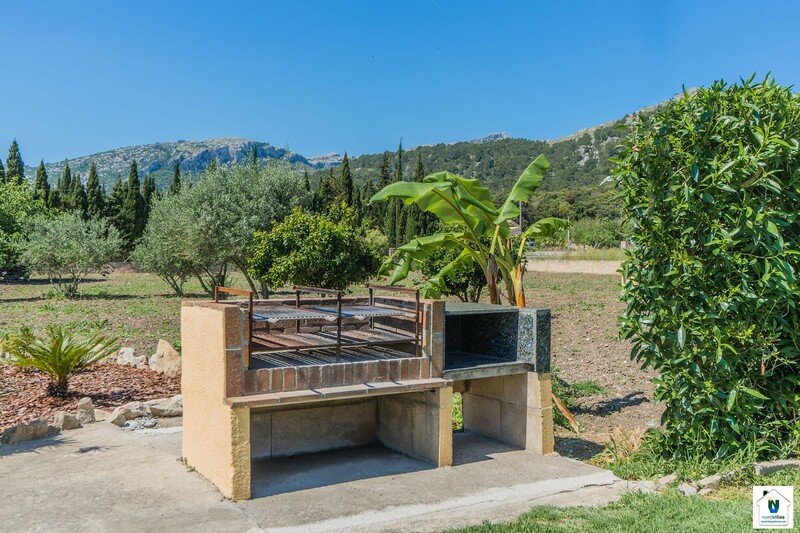 La Rafal is the ideal place to enjoy a villa holiday surrounded by the beautiful countryside. 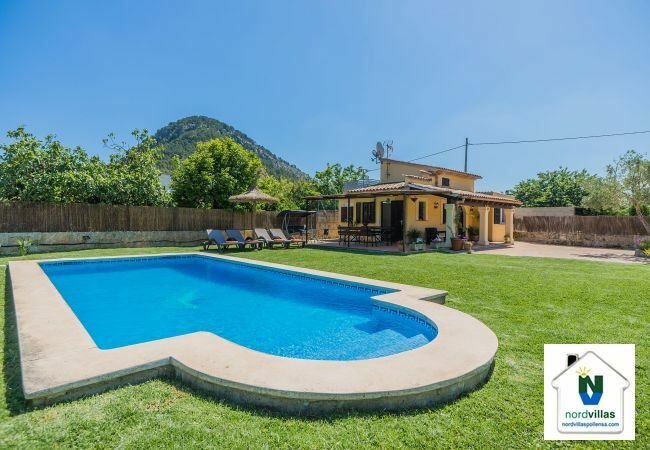 - TV Satellite (Languages: Spanish, English, German), DVD, garden, garden furniture, fenced garden, terrace, barbecue, fireplace, iron, internet (Wi-Fi), hair dryer, 85 m² property, 3,800 m² plot, air conditioning (hot/cold), air conditioning in the living room and in some bedrooms, private swimming pool (dimensions 8.00x4.90m, max depth 6.6 ft, min depth 3.6 ft, opening date 30/3, closing date 31/10), Open-air parking. 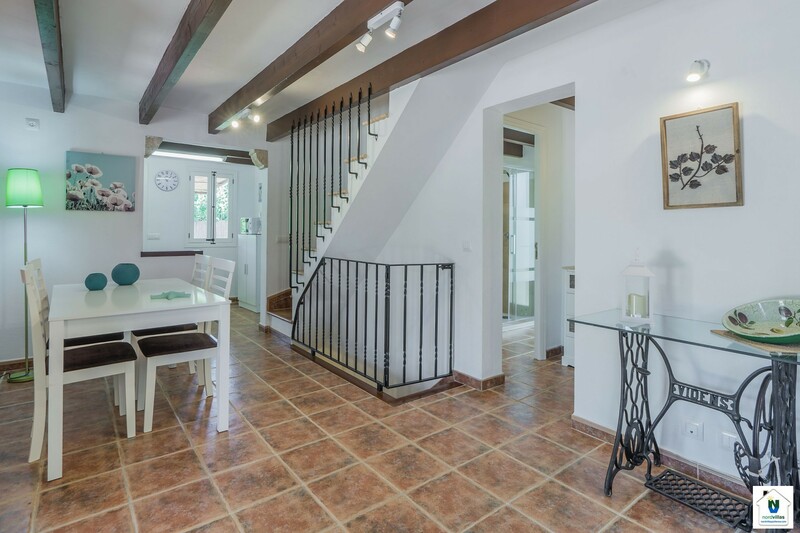 La vivienda es ideal para una familia de cuatro persona, tiene todos los detalles para una estancia ideal, iluminación decoración, mobiliario, menaje, exteriores.... 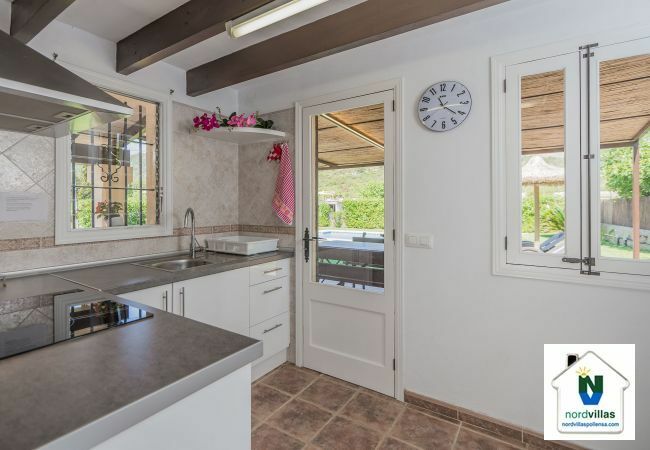 Se agradece que todo lo que se detalla en la página web está en la vivienda.